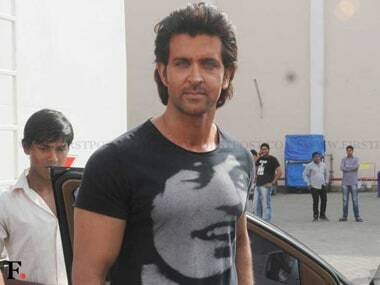 Hrithik Roshan, who had shared screen space with actress Sridevi as a child artist, is full of praises for her comeback film English Vinglish. What is Sridevi's beauty secret at 49? Sridevi is fit as a fiddle at 49, and the reason behind it, she says, is the right diet, power yoga and the quality time she spends with her two daughters. Images: Sridevi is back on celluloid! Sridevi plays the lead part in director Gauri Shinde's film, English Vinglish, the trailer of which was released at the PVR multiplex in Juhu on Monday evening. Here are the images. Gauri Shinde said that while writing the script, she did not think of anyone but Sridevi. His directorial debut starred Bollywood megastar Amitabh Bachchan, but still R. Balki is jealous of his wife Gauri Shinde for working with Sridevi and choosing English Vinglish as her directorial debut.